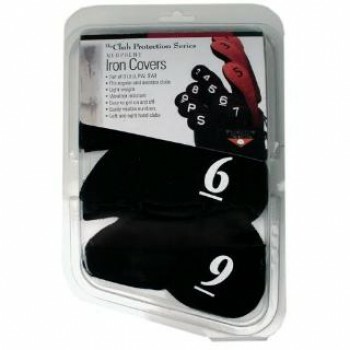 Set of 9 iron covers conveniently fit regular and oversize, left and right handed clubs. 3 through SW in attractive clamshell packaging. These iron covers are soft to the touch yet durable enough to offer the ultimate protection for your.. The ultimate iron cover with a hosel lock to prevent loss. Comes with a lanyard per 2 covers to res..